I hope everyone enjoyed the fall break and found time to enjoy the beautiful weather. We spent our Tuesday really digging into how to differentiate the needs of all students through a very insightful Words Their Way training. This program supports a range of students needs from struggles with spelling patterns to understanding more complex patterns. As a staff, we want to provide every student at Cory with what they need to grow and feel successful. Mrs. Ausdenmoore has been visiting classrooms to teach bully proofing lessons. She has been working hard to create a positive message of respect and responsibility. As a school, we want to focus on creating a positive student culture through positive and proactive discussions with students about bullying. We have great conversations that build their strategies to handle difficult situations with peers. Cory’s Halloween celebration is right around the corner. I wanted to provide costume guidelines to support the safety of all students and staff. Costumes will be put on in the afternoon. Students need to be able to put on their own costumes independently in 15 minutes or less. No part of the costume may be worn before 2PM. No blood, no weapons, no clowns, only friendly masks (not scary). Students can put on their costumes beginning at 2:00. The parade will start at 2:15. 1st grade will start and we will parade through 5th and then one walk around the school. Classes will all have their celebrations after the parade from 2:45-3:20. Parents are welcome. Ms. Butte will host a game hour for those students who do not celebrate Halloween. Don’t forget to join us for Spooky Story Night, this Monday, October 29th from 6pm-7:30pm. Kids are welcome to dress up. Come for pizza, crafts, and spooky stories. We need volunteers and a few donations in order to make this night spooktacular! Please see the attached sign up genius to find out how you can help. We have till October 29th, to Feed the Cougar! Collection boxes are in each classroom, along with a large bin in the office. So send in those Box Tops! Our volunteers are expecting to receive thousands of Box Tops, so please make their jobs a little easier by 1) cutting your Box Tops on the dotted lines (great to get the kids to help!) and 2) ensuring none of your Box Tops are expired. Grounds Clean Up Day is happening on Sunday, Nov. 4 from 9am – 12pm! We will be raking leaves, spreading mulch, among other fun gardening activities, all while enjoying refreshments (of course, there will be donuts!) and good company! Students, parents, siblings, alums, grandparents, and any other Cory fans welcome! An assortment of adult-sized tools and leaf bags will be provided, but we could use just a few more items — please sign up here: https://www.signupgenius.com/go/10c0a4aaaaf2aa5fb6-cory1. Please contact Margit Archer (marcher006@gmail.com) or Kristin Axley (kristinaxley@gmail.com) with any questions. 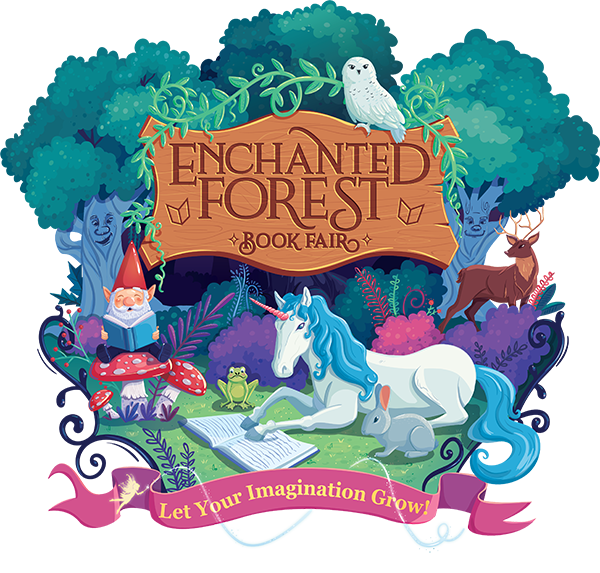 Cory Book Fair: The Enchanted Forest – Let your imagination grow! It’s time to sparkle and shine, the magic of the Cory Scholastic Book fair is upon us. The theme this year is Enchanted Forest. Calling all fairies, gnomes and forest creatures to let your imagination grow! The Book Fair supports building students’ home libraries with a selection of new and favorite titles for readers of all ages, and Book Fair profits support Cory classrooms and the Cory library! When: 8:00 am – 5:00 pm Monday, Nov. 12 to Thursday, Nov. 15, including during the Cory Thanksgiving Lunch on Thursday, Nov. 15, and with extended evening hours (open til 6 pm) on Wednesday, Nov. 14. What to do now: Bookmark contest! Get your kiddos excited about reading, and supporting Cory, by entering the student bookmark contest – see flyer and blank bookmark in last week’s Friday folders. Extra blank bookmarks are available in the office. Return decorated bookmarks to classroom teachers by Monday, Nov. 5. Wanted: Volunteers! We need many hands to help promote literacy at Cory! Please take a look at the sign-up sheet to see what roles interest you – there are opportunities from 11/7-11/16. Sign up here:  https://volunteer.scholastic.com/#/experience/signup/udPO7xt0A You will have to create a Scholastic account if you don’t have one, but it is fast and easy.